The biggest names in the OPM scene have come together to spread love in the whole nation this coming holiday season as they bring life to ABS-CBN’s 2017 Christmas theme #justLOVE. Filipino music icons Gary Valenciano, Martin Nievera, Ogie Alcasid, and Zsa Zsa Padilla lead the star-studded lineup, which also includes big names Piolo Pascual, Sarah Geronimo, Toni Gonzaga, Erik Santos, Billy Crawford, and Yeng Constantino. The recording video of the song, composed by Jimmy Antiporda with words by Lloyd Oliver Corpuz, Christian Faustino, and ABS-CBN Creative Communications Management head Robert Labayen, will be launched on Thursday afternoon (November 2) on the ABS-CBN Entertainment Youtube channel. With the release of the recording video, anticipation will surely rise for the 2017 Christmas Station ID, which has become a family tradition not only for ABS-CBN but for Filipinos around the world. 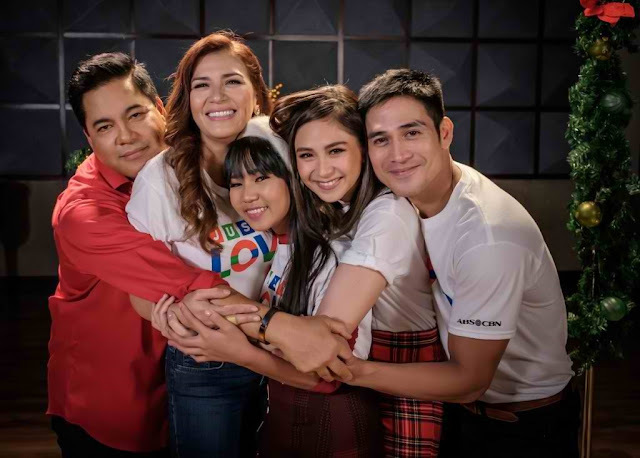 The new Station ID will feature more ABS-CBN artists and personalities, as well as ordinary Filipinos that will inspire the nation to focus on love this Christmas season and beyond. Don’t miss the launch of the ABS-CBN 2017 Christmas theme recording video featuring an all-star lineup of Kapamilya performers this Thursday afternoon (November 2) on the ABS-CBN Entertainment Youtube channel. For updates, follow @abscbn on Facebook, Twitter, and Instagram.